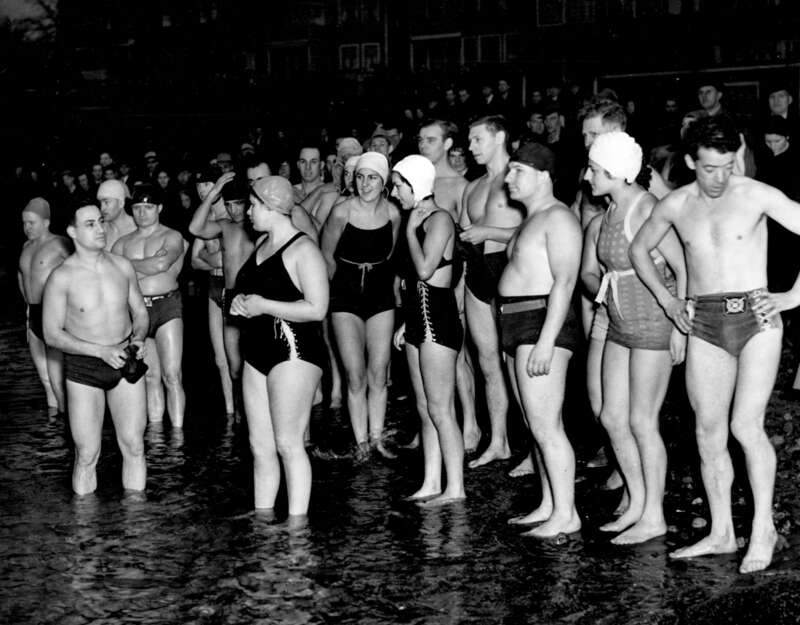 It was in 1920 that Peter Pantages, founder of Vancouver’s Polar Bear Swim Club, led a hardy group of swimmers who all plunged into English Bay on New Year’s Day. There were 10 participants back then and now, 98 years later, over 2,000 people participate in this local tradition each year. 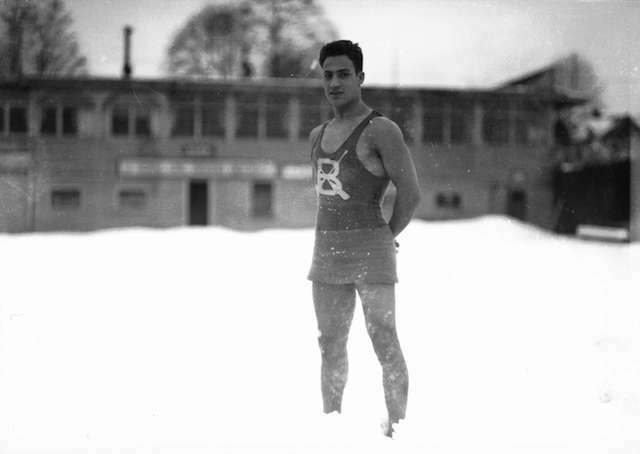 Peter Pantages on a snowy Vancouver beach in 1927. Archives# CVA 99-1786. 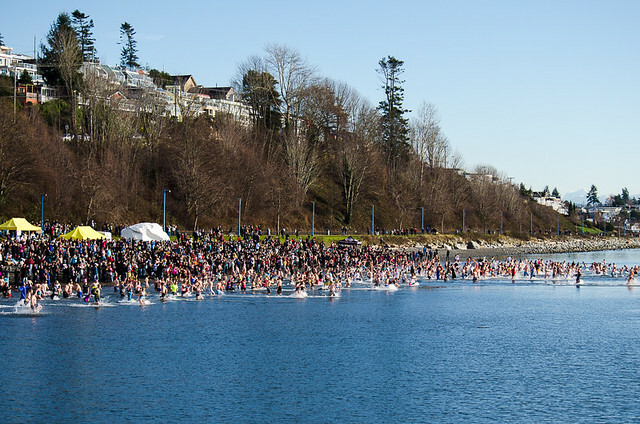 The Vancouver Polar Bear Swim takes place at 2:30pm on the first day of each new year. Costumes and the Peter Pantages Memorial 100 yard swim race are the highlights of this event. To be a club member you must register before the swim, it’s free. Prizes are drawn from all registrations. 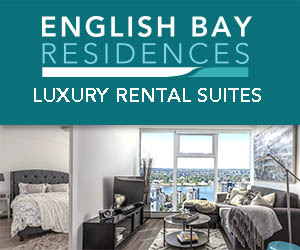 Download the registration form online and bring it to English Bay before the swim, starting at 12:30pm on January 1st. 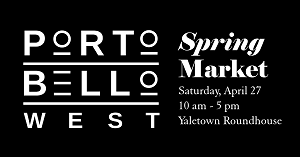 The Greater Vancouver Food Bank will be accepting donations of non-perishable food or cash on site as well. The 48th annual Polar Bear Swim in White Rock will take place at 12:00pm on January 1, 2018. Hot chocolate and coffee will be available, along with photo ops with Mr. Polar Bear. Gather for the noon plunge at the legendary “white rock” just east of the White Rock Pier. Deep Cove Panorama Park hosts the annual Penguin Plunge on January 1st from 12:30pm to 3:00pm, with the plunge promptly taking place at 2:00pm. Enjoy live music, food and refreshments. Participants can collect pledges for their plunge, with proceeds going to the Royal Canada Marine Search & Rescue Stn 2. Join the 38th Annual Polar Bear Swim at Centennial Beach (Boundary Bay Regional Park) on Sunday, January 1, 2017. Registration starts at 12:00pm and the Polar Bear Swim is at 1:00pm. The top 3 swimmers will be awarded a trophy and a prize; there are also prizes for oldest swimmer and swimmer from furthest away. 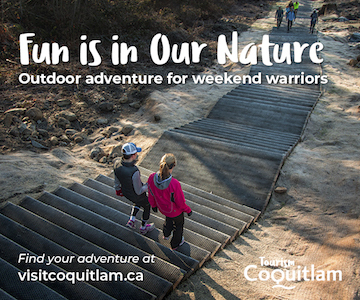 If you’re looking to warm up after your chilly dip, the Tsawwassen’s Lions Club will be serving hot chocolate and you can find yourself a polar bear to keep you warm while you take a few selfies. 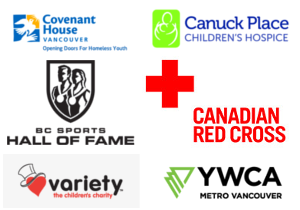 There will also be a raffle for items from our sponsors with the grand prize as a pack of 4 tickets to a Vancouver Canucks hockey game, sponsored by Southwest Mortgage. Take the Penguin Plunge in Port Moody at 1:00pm on January 1st at the Rocky Point boat launch. Registration starts at 11:30. As this is a fundraiser for Pleasantside Community Association, participants are asked to donate $5 per person or $10 for a family of 4. Money collected goes towards programs at Old Orchard Hall, Play Pals, Can Can dancers, and seniors badminton. There will be sweet treats, coffee and hot chocolate for purchase. 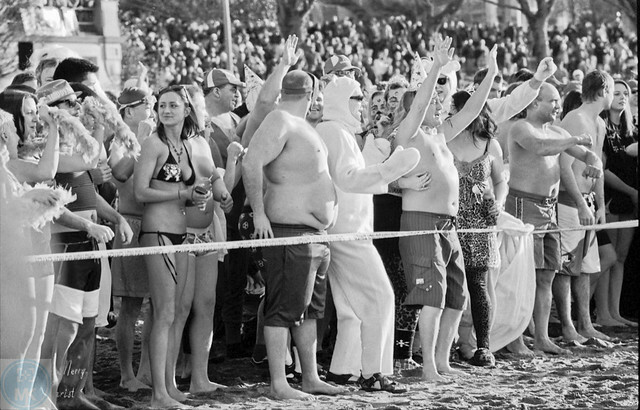 Be at Brae Island Beach for the annual Fort Langley Polar Bear Swim at 12:00pm on January 1st.